There’s nothing like a good rousing thunderstorm to add excitement or an element of fear to a story. But thunderstorms don’t have to be reserved for mysterious mansions at the end of lonely roads. Your main characters might find themselves caught in a thunderstorm while out fishing on the lake or during a soccer game. So this week, some practical science information on thunderstorms that should help you incorporate one into your writing. How much warning will your characters get before the storm hits? This will depend on their location and how far they can see. Out on the prairies, a farm family will be able to see flashes of lightning nearly 100 miles away. They’ll have plenty of time to come in from the field, bring in the animals and batten down the hatches before the storm blows in. Distant lightning is often called “heat lightning” but there is nothing special (or more safe) about it. It is just lightning from a storm that is too far away to hear. Fishermen on a lake surrounded by mountains, will probably hear the thunder before they ever see the lightning. The sound of thunder can be heard about 15 miles away if it’s quiet. On a noisy city basketball court the storm will probably get within 5 miles before anyone hears the thunder. But remember, that’s just telling you how far away THAT particular lightning bolt was. By the time your character on the golf course has counted the seconds and done the math, the next bolt of lightning could be heading for his golf club. 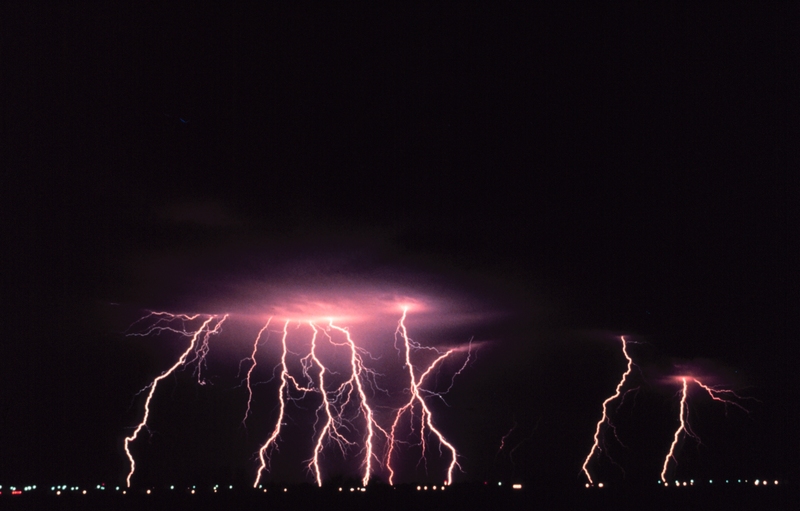 Lightning can strike up to 10 miles outside of the actual rainfall area. The math also doesn’t tell you how long before the storm hits. The amount of time your characters have depends on the speed that the storm is traveling and this can vary a great deal. How Long & How Big? If your teenage character is in the middle of a thunderstorm at the family cottage, will it also be storming at her parent’s house back in the city? Depends on the distance. Thunderstorms are considered localized storms. They range from 5 to 25 miles in diameter and they can form and dissipate within 30 minutes. A large majority of people who are struck by lightning are hit while in small open boats. No matter where your book takes place, there can be thunderstorms, even in the desert and rarely (although, increasingly) in the Arctic. 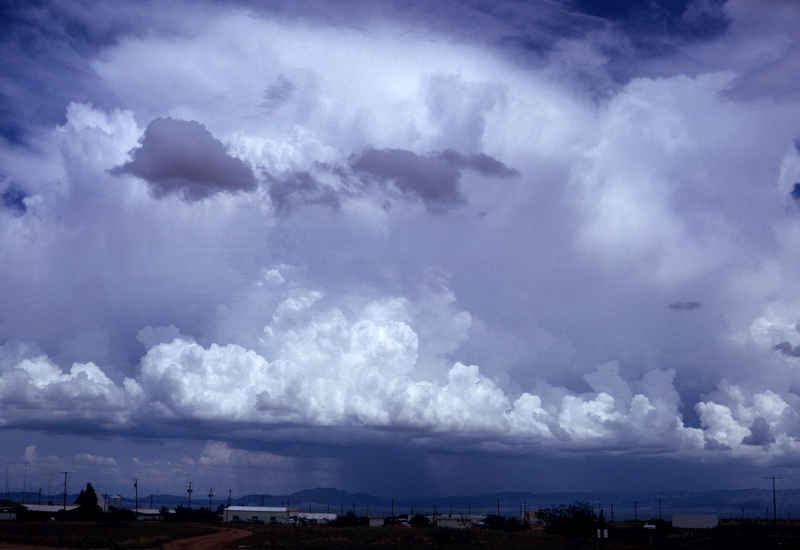 Thunderstorms are most frequent in spring and summer. Winter thunderstorms (Thundersnow) are rare, but do occur, most frequently in areas that experience lake effect snow — the Great Lakes, the midwestern U.S., and the Great Salt Lake. I’ve always described the smell of the air after a rain storm as “the smell of worms.” I don’t know if it really was the worms, but where I grew up in Maryland, when we’d go out after the rain, there would be earthworms all over the sidewalks. I just figured they were the source of the smell. Because thunderstorms disrupt all kinds of things in nature, there are many smells associated with them. Leaves are torn from trees, mud is churned up, wood becomes saturated and pungent, and strong winds carry scents from distant regions. Actinobacteria is a common bacteria in the soil. When it gets wet it releases a distinct smell (Petrichor) that many people associate with rain storms. But the one distinct smell that comes with a thunderstorm is the smell of ozone. Ozone is created by lightning and gives the storm that clean fresh air scent that we all wish we could bottle. And finally, let’s say the danger of being struck by lightning is past, and your characters are now heading home in the lingering rain. Which is better for staying dry – to walk or to run through the rain? One theory says that you’re better to run, because if you walk, you’ll be rained on longer. The opposing view is that if you walk, the rain only falls on your head and shoulders, but if you run, you are running into rain, exposing your entire front to the raindrops. Infobarrel: Why does rain smell? But are you more likely to be struck by lightning when you walk? Hi Bill, Well they say there is no safe place outdoors during a lightning storm, so I’d say the dash for shelter far outweighs the risk of hitting those extra raindrops.